There was no distinguishable difference between the end of yesterday and the start of today... I haven't slept at all! 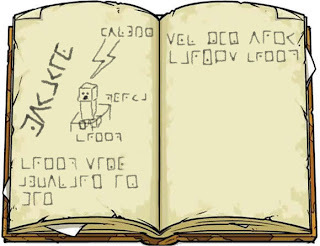 I was up all night decoding the "Codex Solis" and found that it was almost entirely written in Latin. There were also diagrams too which were annotated in Latin, wrapped in the pigpen cipher! The main diagram that I am most interested in is the obvious picture of the creature I saw yesterday! The same shape... the same gapping maw... it is the same creature! The diagram seems to depict it being struck by lightning... I don't get it! It doesn't make any sense! I sent the fully decoded version off to HoN Co. this morning at about 3am. I've had no sleep... all night I've been worried about what I may have stumbled across... Am I in danger? Does HoN Co. know about this, or other incidents before this? The strange blue stones and powder you found are known as lapis lazuli. It is a semi-precious stone composed of lazurite, and is often put to use in jewelry, pottery and can be ground up to make a fine powder to use in dyes and paints. Why you've excavated this, I don't know Syeonyx. It is close to useless in terms of monetary value! Now that I know it is of no value, I could probably ignore it if I came across it again... but in the current circumstances, that isn't likely to happen! The groaning I heard stopped a little after dawn. Presumably whatever was out there either went away... or turned to dust. I still don't know about any other creatures, but it's also stopped raining... so there's not likely to be any electrical activity! I've been waiting all day for another message from the people at HoN Co. about my new evidence, but nothing! I hope I get an answer soon! Chiron has calmed down considerably since last night; he spent most of the night growling at the window... There's nothing there now, but before... well I don't know... I'm going to search the cellar... and then the mines. I need to know if there's anything down there! I'm really tempted to flood the mines and ensure that nothing gets through them, but what if I'm over doing it? What if HoN Co. contact back and say I was being paranoid? Even so... I'm not taking that chance! 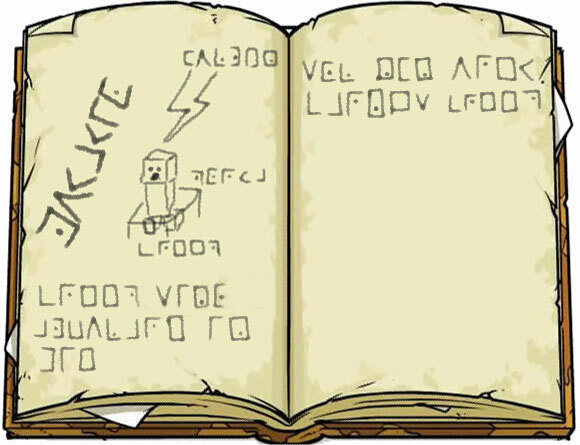 I'll try to update my diary with findings... if there are any... and if I don't die!